March 14, 2016 By Allyson Leave a Comment This post may contain affiliate links. Read my disclosure policy. 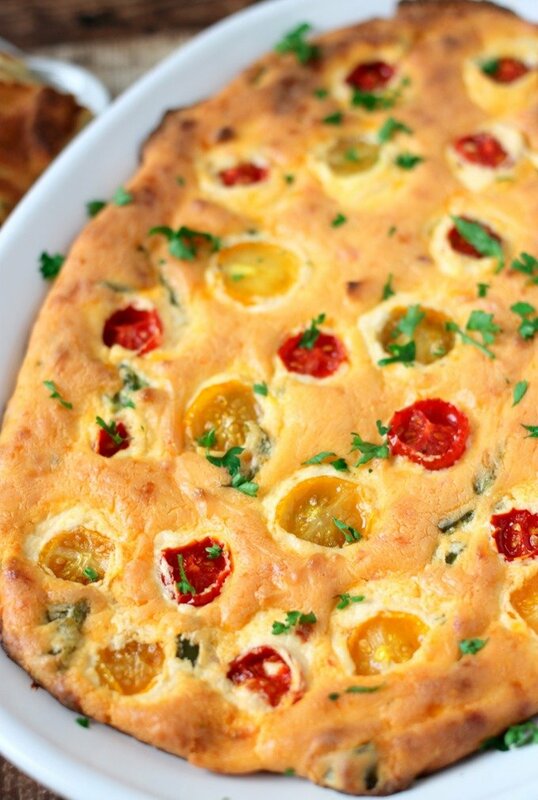 Spicy Pepper Tomato Cheese Dip has blendable cheeses, spicy peppers, and juicy tomatoes! It’s the perfect 20 minute party dip! Now that Easter is right around the corner, I have been planning different appetizer ideas for entertaining. We always host a somewhat fancy brunch for Easter, so I need some nicer recipes to adorn our table before the actual Easter Brunch. While brainstorming I thought of Boursin® Cheese, and now it would be delicious in a Spicy Pepper Tomato Cheese Dip! Using the Boursin Monterey Jack & Spicy Pepper Cheese Dip, I knew I wouldn’t have to do much to it, but I really wanted to create something to WOW my guests! After mixing the dip with the cream cheese, I added chopped jalapenos, and then spread the cherry tomatoes over the top of the dip. Next, I baked the Spicy Pepper Tomato Cheese Dip for about 30 minutes, to make sure it was nice and warm and creamy! The Spicy Pepper Tomato Cheese Dip came out perfectly spicy and majorly delicious! I can’t wait to share it at our Easter Brunch! If you don’t like so much spice, you could always leave out the jalapenos, and let the Boursin Monterey Jack & Spicy Pepper Cheese Dip shine on it’s own! I wanted to come up with one other quick idea, using the other Boursin Cheese I picked up, the Garlic and Herb Blend. I thought a quick yet delicious treat would be a nice Roasted Blueberry Herb Crostini, and boy was I right! This recipe is made in minutes and comes together in a snap for a great Party Trick! Spicy Pepper & Tomato Cheese Dip has blendable cheeses, spicy peppers, and juicy tomatoes! 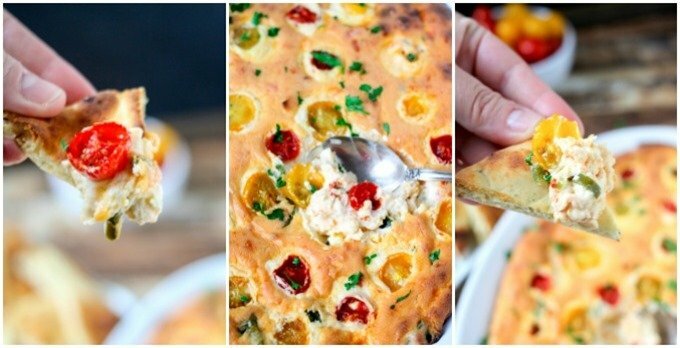 It's the perfect 20 minute party dip! Preheat oven to 375 degrees. Add Boursin Monterey Jack & Spicy Pepper Cheese Dip, cream cheese, and jalapenos to the bowl of a stand mixer, and mix until there are no lumps. Spray baking dish with nonstick spray, then spread cheese mixture evenly onto the dish. Press tomatoes halves into the dip, open side facing up. Place into preheated oven and cook for 30-35 minutes, or until dip is browned on top. 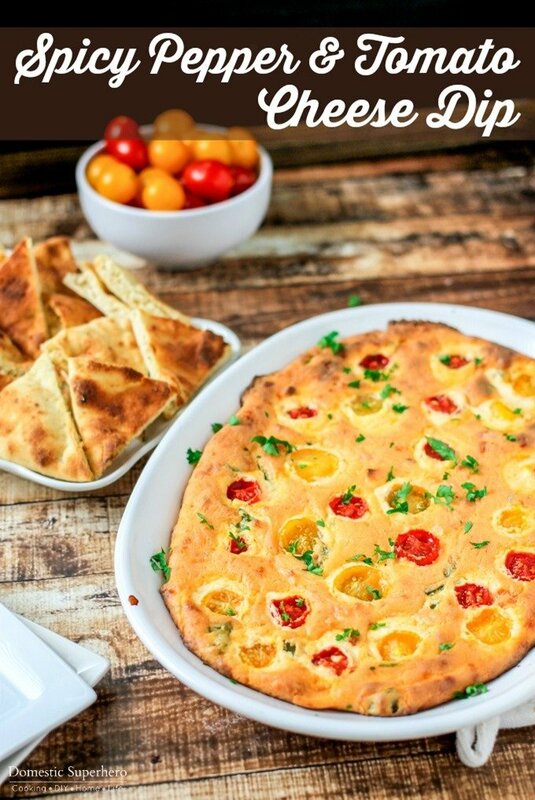 Serve with crackers, pita chips, naan bread or vegetable sticks. 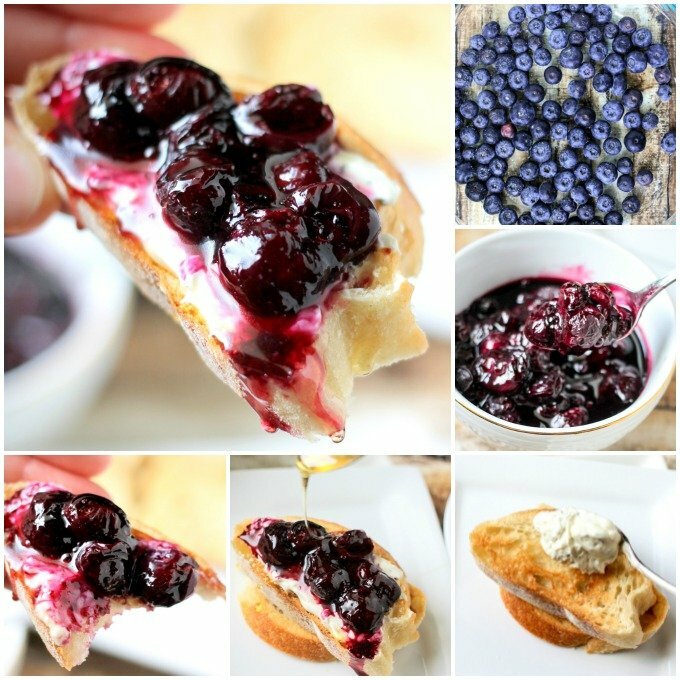 This Roasted Blueberry & Herb Crostini is the simplest recipe, and only 4 ingredients! If you haven’t roasted blueberries before, you HAVE to! They are so simple, and so delicious! They turn out like a decadent treat, but they are so healthy for you! After you roast your blueberries, you top delicious toasted baguette slices with the Boursin Garlic & Herb Cheese, then pile on the blueberries and drizzle some honey. It takes about 15 minutes, and you can make the blueberries ahead of time if you want, which will save you some time. From now on, I am keeping roasted blueberries on hand at all times – they are amazing! Place blueberries into a baking dish, and lightly sprinkle with salt. Place into oven and roast for about 10 minutes. Arrange bread slices on a baking sheet, and spray the tops with oil. Place into oven and toast for 5-7 minutes, while the blueberries are roasting. Remove from oven. 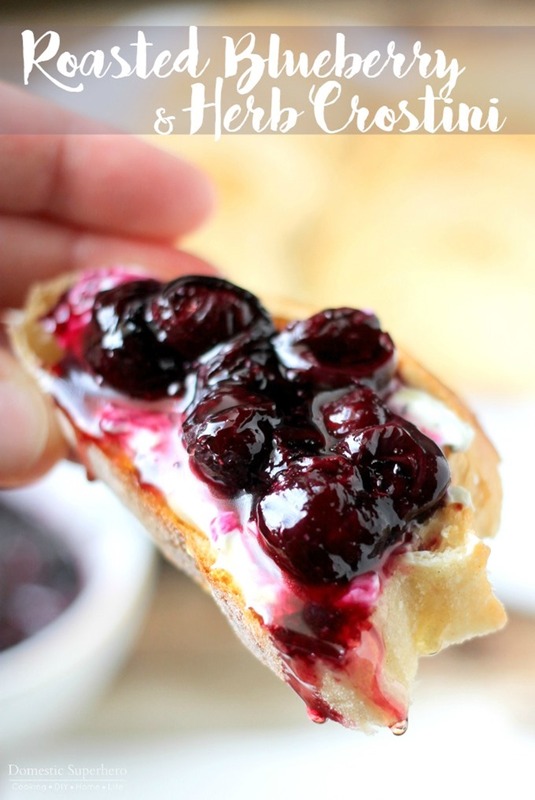 Layer cheese spread, blueberries, and honey on each crostini and serve immediately. Alternatively, you can set up a serving station and allow guests to put their own crostini together. This is a sponsored conversation written by me on behalf of Boursin®. The opinions and text are all my own.